“The professionalization of the pastorate is killing the spiritual life of congregations, even congregations seeing an increase in attendance to Sunday worship” (28). This is just one example of the first-person candor that Jared Wilson speaks with in The Pastor’s Justification. In this post, I hope to offer an eagles-eye view of this short book and point out some of the good things offered and places where improvement could be offered. 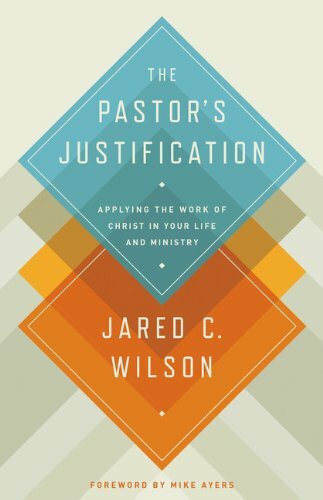 Jared speaks from the perspective of a pastor as he starts his book and cogently walks through applying the work of Christ to pastors lives. He divides his books into character traits and various motivations of a pastor. And within those character traits he has taken some of the perspectives of being a Christians and specifically applied them to the life of the pastor. It is a refreshing perspective, albeit a pretty common one. The motivations of a pastor form the second half of the book: the Bible, God, faith, Christ, and glory. Again, these are ubiquitous topics that Jared has contoured towards the pastor and the specifics of pastoral ministry. What you will find when reading is that it will not strike that, “Aha!” moment within you but a subtle refresher for truths you already know. It seems as if he is connecting dots or clearing a path so it is ready for travel, which at times is quite helpful. Jared has written a book by pastors, for pastors; this serves as a pro and a con. For the everyday reader, this work will not be most relevant to you as the principles that he states are contoured towards those in vocational ministry. This serves as a con of the book. But the flip-side of that coin is that Jared has written something that strikes a cord with those in vocational writing. For instance, he states, “We tell ourselves [in regards to ministry] we are just being honest and transparent and authentic. Really we are throwing a pity party in our own honor” (25). He shows how we as pastors are often a bit whiny when ministry gets tough and relationships get tangled. This is something that is dead-on but irrelevant to the layman. Overall, I recommend this book for those who are in pastoral ministry of some degree. If you are a loved one of a pastor, it will be helpful to your loved one but not so much to you. And I think that was Jared’s intent all along. But one thing that Jared could have done is dredge up some original thoughts that were more than remanufactured angles on age-old truths. Don’t see this as a slam but only an opportunity for improvement. Pastors, take this book as a refresher but it will most likely not break any new grounds for you; it will simply help you reorient to what you know is right. Enjoy! By Greg E. Gifford in Uncategorized on March 22, 2015 .